It is India’s first indigenously designed locomotive-less (engine less) train. It breached the 180 kmph speed limit during test run. It is called Vande Bharat Express. It will become the country’s fastest train. It will be replacing current 30-year-old Shatabdi Express. Thus it is touted as next generation Shatabdi Express. It will be first long-distance train without separate locomotive (engine). It will ply between Delhi and Varanasi. It is semi-pure alloy of gold and silver which is refined for further purification. It is usually created at site of a mine and then transported to refinery for further purification. India imports about 900 tonnes of gold year making it world’s second-biggest gold consumer after China. Why in news? Imports of Gold Dore has been put under restricted category by DGFT. Natural gas is a superior fuel as compared with coal and other liquid fuels, as it is environment friendly, safer and cheaper fuel. It can be supplied through pipelines and hence, there is no need to store cylinders in kitchen and thus saves space. It is environment friendly fuel and its usage as domestic kitchen fuel, as fuel for transport sector as well as fuel for industries and commercial units can play a significant role in reducing carbon emission. It is 60% cheaper compared with petrol and around 45% cheaper when compared with Diesel. Currently, share of natural gas in India’s energy mix is just over 6% and aim is to reach 15% figure for moving towards gas based economy, while world average is 24%. India aims to bring down its carbon emission level and number of initiatives have been taken in this direction such as BS VI fuel, bio-energy, LED bulbs, International Solar Alliance (ISA), Pradhan Mantri Ujjawala Yojana and providing clean piped gas supply to more cities. India is also enhancing LNG terminal capacity, renegotiating Indo-Qatar Gas deal and encouraging positive Indo-US engagement in this direction. It is not only focussing on increasing use and supply of gas, but also on producing gas through agro-wastes and other products and including same into City Gas Distribution (CGD) network. It has also increased its focus on promoting the usage of environment-friendly clean fuel, natural gas as fuel and feedstock across country to move towards gas based economy. It has won bid for Indian Army’s Very Short Range Air Defence deal. It offers superior performance over earlier supplied SA-18 missiles to India. 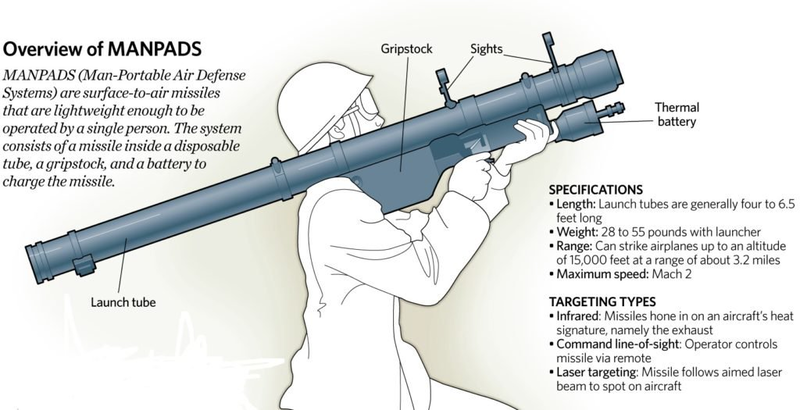 It is designed for use against visible aerial targets at short range such as tactical aircraft, helicopters, unmanned aerial vehicle (UAVs), cruise missile, head-on or receding, in presence of natural (background) clutter and countermeasures. As per requirements of Indian Army, it will have maximum range of 6 km, altitude of 3 km along with all-weather capability. Igla-S missile system will replace the existing Igla in service which is in urgent need of replacement. GSLV MKIII is ISRO’s fifth generation three stage heavy lift launch vehicle. The launch vehicle is capable of placing satellites weighing 4000 kg in GTO. The first stage constitutes two massive boosters with solid propellants. The core with liquid propellant and the cryogenic engine constitutes the second and third stages respectively. The weight of GSLV Mark III is 641 tons roughly equals the weight of five fully loaded passenger aircrafts. GSLV MarkIII, which took 15 years to make, is the heaviest among India’s operational launch vehicles. Also, with only 43 meters tall, it is also the shortest launch vehicles. 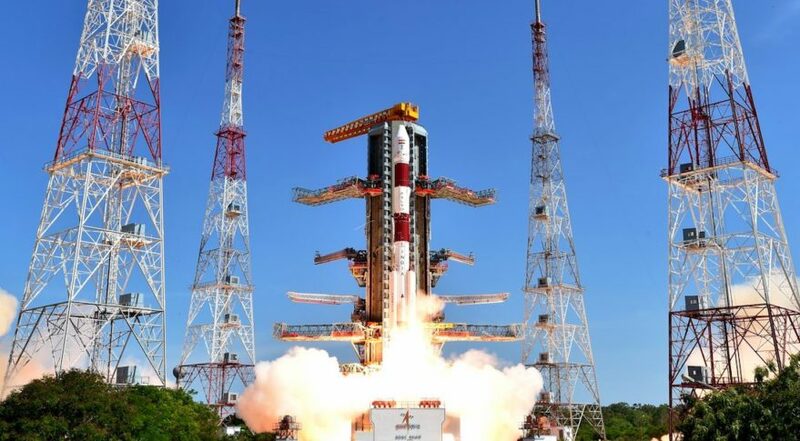 GSLV MKIII will be used to launch Chandrayaan-2 and Gaganyaan missions. A multiband and multi-beam satellite. The mission life will be 10 years. The satellite’s Ku-band and Ka-band payloads will cater to the communication needs of people residing in remote parts of the country especially those from Jammu & Kashmir and North-Eastern regions. With the success of this flight, the Indian Space programme has achieved a significant milestone as the heaviest launcher (GSLV MKIII) lifted off the heaviest satellite (GSAT-29). The success of this mission is also an important milestone for the Indian space programme as it showcases the self-reliance of ISRO in launching heavier satellites. Also, the launch also signifies the completion of the experimental phase of GSLV Mark III. The launch of GSAT-29 communication satellite will pave for bridging the digital divide in the country. The launch of the satellite is also expected to aid Digital India Programme. The satellite is also intended to serve as a test bed for several new and critical next generation payload technologies. SpaceX (Space Exploration Technologies Corporation) is a private aerospace manufacturer and space transport services company headquartered in California, US. It was founded in 2002 by Internet tycoon Elon Musk, CEO of Tesla Motors and former PayPal entrepreneur with the goal of creating the technologies to reduce space transportation costs and enable colonization of Mars. SpaceX has developed the Falcon 1 and Falcon 9 launch vehicles, both designed to be reusable, thus reducing the cost of launch. It also has developed Dragon spacecraft to supply cargo to ISS. It is also developing manned version of Dragon. In 2008, SpaceX had created history by launching first privately funded, liquid-propellant rocket Falcon 1 to reach orbit in 2008. It also became first privately funded company to successfully launch, orbit and recover spacecraft (Dragon) in 2010. It was also first private company to send a spacecraft to ISS, in 2012. GSAT-11 also called Big Bird has been indigenously developed by ISRO. It will boost the broadband connectivity to rural and inaccessible gram panchayats in the country under Bharat Net Project, which is part of Digital India Program.